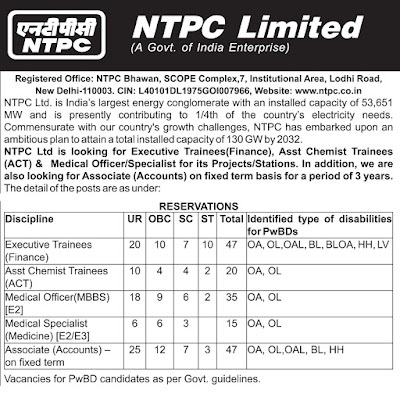 Interested candidates should log on to our website www.ntpccareers.net for applying. No other means/ mode of application shall be accepted. Candidates are required to possess a valid email ID. NTPC will not be responsible for bouncing back of any email sent to the candidates. Candidate belonging to General/OBC category is required to pay a non-refundable registration fee of 300/-. The SC/ST/PwBD/XSM category candidates need not pay the registration fee. State Bank of India has been authorized to collect the registration fee, in a specially opened account (NC No. 30987919993) at CAG branch, New Delhi (Code: 09996), on behalf of NTPC. Candidate has to approach the nearby SBI branch with a printout of the "pay-in-slip" which is available on the application registration portal. The pay-in-slip printed from the portal should only be used for depositing the fee for proper crediting of amount in the allocated account. On receipt of the money, the bank will issue a unique Journal Number and a Branch Code of the bank collecting the money. This journal number and the branch code are to be filled up by the candidate during online registration. 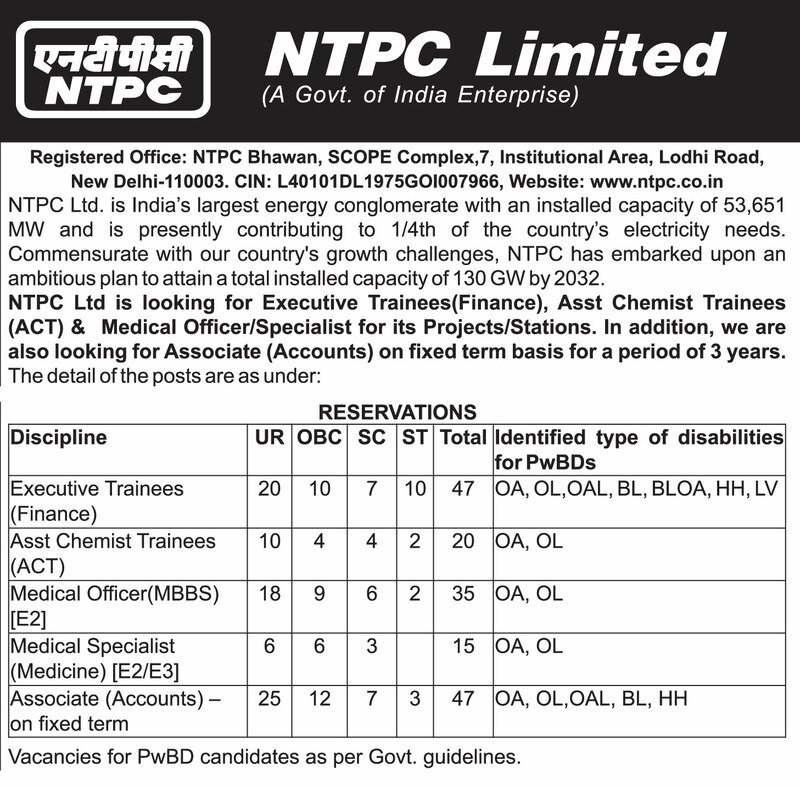 NTPC will not be responsible, in case a candidate deposits the fee in a wrong account. Fee once paid will not be refunded under any circumstances. Candidates are therefore requested to verify their eligibility before paying the registration fee. Commencement of online registration of application: 25.04.2018; Last date for online registration of application: 16.05.2018.